With new information on healthy eating coming out every day, it’s almost impossible to get realistic answers to common nutrition questions. 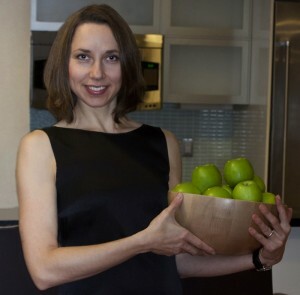 Natalia Stasenko, registered dietitian and expert on picky eaters, is an excellent resource with a healthy approach to feeding a family. 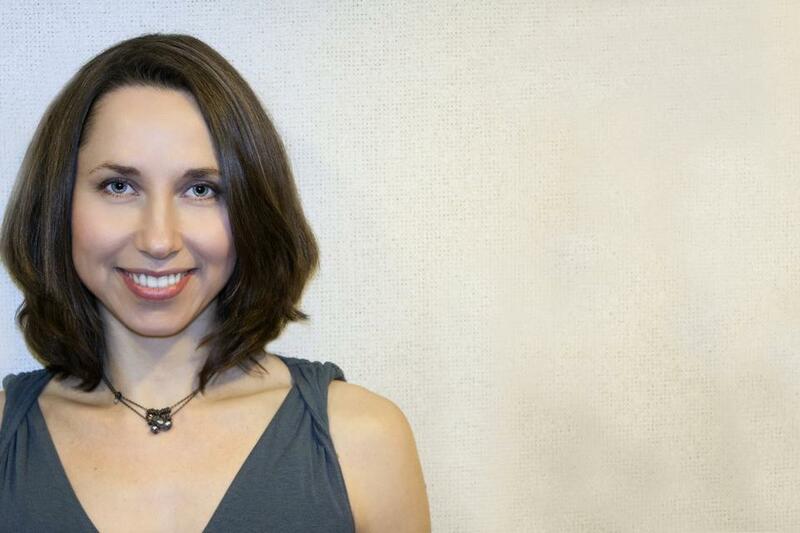 In addition to being a 30Second Mom contributor, Natalia is the founder of Tribeca Nutrition and runs nutrition workshops and online classes. Read on for amazing information about health and nutrition! Q: How do I eat healthy when dining out with my family or friends? A: It’s hard to stick to healthy eating plan when dining out but it’s not impossible! What many people find very helpful is to listen very carefully to your body so that they stop eating when they reach the point when they are already satisfied, but not yet stuffed. If you are really attuned to your hunger-fullness signals, just a couple of spoons of dessert may be enough, instead of a whole serving. Another tip to remember is to fill at least half of your plate with non-starchy vegetables (preferably non-fried and without gallons of dressing) and divide the other half between lean protein and grains (preferably whole). That said, restaurant meals are rarely balanced, offering too much starch and protein, and too little vegetables. So if, for example, you order a burger, make sure to divide it in half, take one home for tomorrow and use the other half to fill the protein and grain parts of you plate. 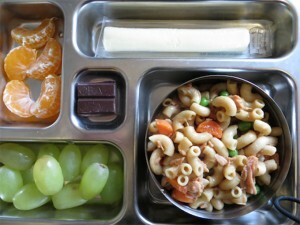 Next, order a salad or a vegetable side dish to cover at least half of you plate and bingo, you have a balanced meal. To keep calories in check, avoid additional toppings like bacon or mayonnaise and ask the waiter for whole wheat bun instead of a white one. Q: How do I integrate more vegetables into my child’s diet even though they aren’t fond of them? A: Consistent exposure and neutral attitude are keys to developing acceptance of less preferred foods. “Keep calm and keep serving veggies,” as I often say to parents. 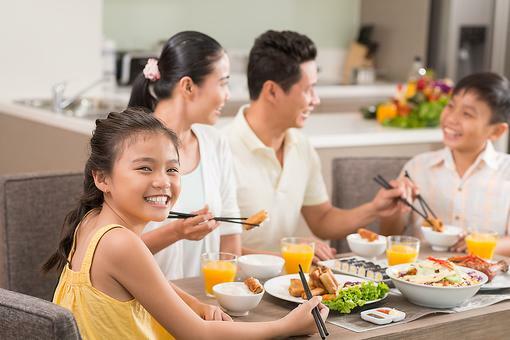 Find ways to integrate vegetables at most meals and snacks, eat meals together to role model eating them and avoid pressuring the child to eat or even try them. Any pressure at the dinner table has the potential to backfire. A gentle reminder to try a food is as far as parents can safely go with most children. “Hiding” vegetables in mixed dishes like tomato sauce and casseroles or blending them into smoothies is a common practice. Adding pureed or finely chopped vegetables to meals helps boost nutrition and cut calories – a great bonus for both kids and adults. But it is extremely important for development of good eating habits to keep serving vegetables in a way that allows them to be actually seen and tasted. For example, if I serve meatballs with sautéed mushrooms mixed in, I always make sure to leave some mushrooms for a side dish. Or if I’m blending spinach into tomato soup, I will save some and make a simple salad. Children learn to like what they see most often, so if vegetables make a frequent appearance on the dining table, they will start enjoying them sooner or later. When cooking veggies, parents may try adding seasoning and fat and even a sprinkle of sugar to vegetables to make them taste better. I add a splash of honey to roasted carrots, a little bacon to sautéed kale and some soy sauce to stir-fried broccoli. 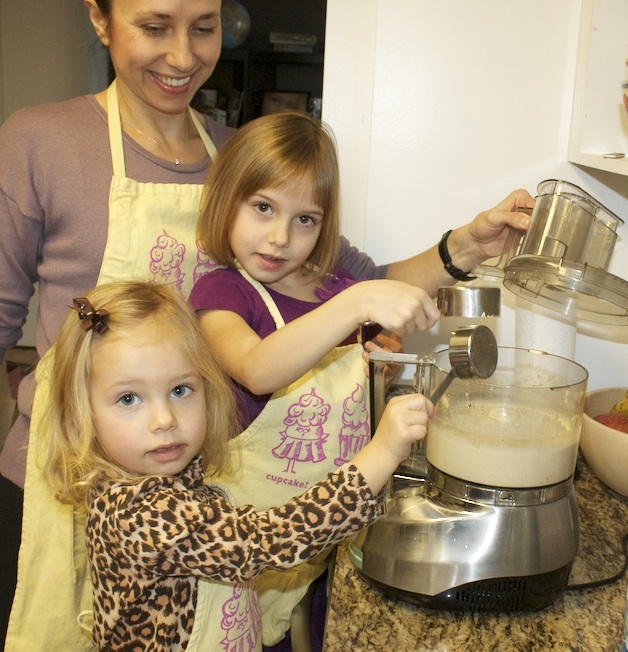 You can check more kid-approved recipes on my blog. Vegetable puree soups are often a hit with kids who need to warm up before exploring other textures and flavors. Another easy idea is a homemade salad bar, where kids can choose any vegetables to create a unique combo. Q: Does organic automatically mean healthy? What is the difference between organic and all natural? A: Organic does not automatically mean “healthy.” There are organic cookies or chips, which have a lot of calories, far, salt and/or sugar. There is no formal definition for “natural,” so it may mean different things in different states. Typically it means that the product does not have artificial colors, flavors or other synthetic components, but since there is no standard to adhere to, different manufacturers use the term in a variety of ways. Also, there is no certification or inspection system to verify the presumably “minimal processing” these products are supposed to undergo. “USDA Organic” claim, on the other hand, is regulated by the U.S. Department of Agriculture’s National Organic Program. It means that the product was produced without toxic pesticides or herbicides, Genetically Modified Organisms (GMOs), antibiotics, growth hormones, sludge and irradiation. Animal welfare has to be inspected and certified, as well as lower levels of environmental pollution. Organic foods are not necessarily healthier than conventional, but they do not contain potentially dangerous chemicals and they are friendlier for the Earth. Q: What are some healthy foods that will fill me up? A: Any healthy food can be filling if it’s combined with other foods in the right way. We need some fiber, protein and/or fat in each meal and snack in order to feel full for longer. For example, a healthy brown rice cracker is a good source of carbohydrates and it can take the edge off hunger, but it will not provide long-lasting energy. Combine with peanut butter (fat+protein) or hard-boiled egg (fat+protein) or goat cheese and some greens (fat+fiber) or dry fruit and nuts (fat+protein+fiber). I like how the French finish their healthy meals with a small piece of cheese to add just enough fat to help them feel satisfied. 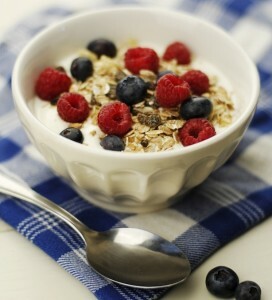 -	berries with Greek yogurt and a sprinkle of sunflower seeds. Q: Any tips for upcoming holiday parties and how to stay on track with a diet? A: Who doesn’t love parties! But it’s really easy to end up feeling uncomfortably full after them. To avoid this, I suggest the following strategies. When it comes to cocktails, go for dry white wine or vodka with club soda, these are the least caloric drinks. Make sure to have balanced meals throughout a day so you are not starving when you arrive to the party, which can lead to unhealthy choices. When serving yourself from the buffet table, stick to the same proportions as above: half a plate filled with non-starchy vegetables, a quarter protein and quarter whole grain. The most important rule is to have fun and stop worrying, even if you end up eating too much on that particular night. The next day, pay more attention to how full or hungry you feel and you may end up eating less or choosing a lighter meal to compensate for the previous indulgence. Feeling guilty for “jumping off the diet wagon,” on the other hand, may lead to eating more and a less healthy relationship with food in the long term. So relax, enjoy and have that cookie! Q: What are some guidelines for how much kids should eat at meals and how many snacks they should have throughout the day? A: There are rough guidelines on the amount children should be eating but they should be taken with a grain of salt because children have unique calorie needs that differ from one day to another. The best strategy is to allow children serve themselves as much or as little as they want or, if you have to serve them, make sure to offer a small portion first and allow them to have seconds if they’re still hungry. A good rule of thumb for small kids is a tablespoon of food from each food group per one year of age. For example, a 3-year-old should be served 3 tablespoons of mashed potatoes, 3 tablespoons of veggies and 3 tablespoons of meat. But there will be days when this child will only nibble the meal and days when she will ask for a second helping of something or everything. As children grow, their nutritional needs increase. Portion sizes for active teenagers can be as big, or even bigger, than their parents’ portions. -	eat because they are bored, anxious or stressed, and not because they are hungry. Q: What is the best part about being mom? A: The best part for me is the constant drive to become a better person. My kids definitely taught me to be kinder, gentler and more patient. Q: What is the best advice you have been given as a parent? A: I read somewhere recently that kids need 12 hugs a day to grow. It never occurred to me that connecting on this basic level would make so much difference in my relationship with my kids. Q: What is your favorite recipe? A: As it is getting colder, I will be making casseroles in my Dutch oven and pressure cooker more often. The recent favorite is Moroccan chicken stew with chickpeas and vegetables – a complete and super-nutritious meal in one pot all our family loves! Learn more about Natalia by reading her tips on 30Second Mom, becoming a fan of her Facebook page, checking out her website and following her on Twitter! Thank you, zhounutrition! I'm so glad you like 30Seconds.com! We appreciate your kind feedback! National Day of Silence: How to Connect With Your Family By Disconnecting! 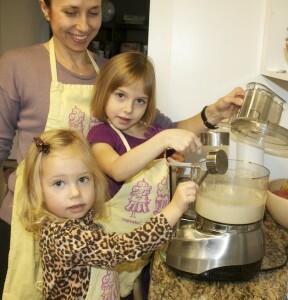 Dietitian Natalia Stasenko Dishes on Family Health & Nutrition!